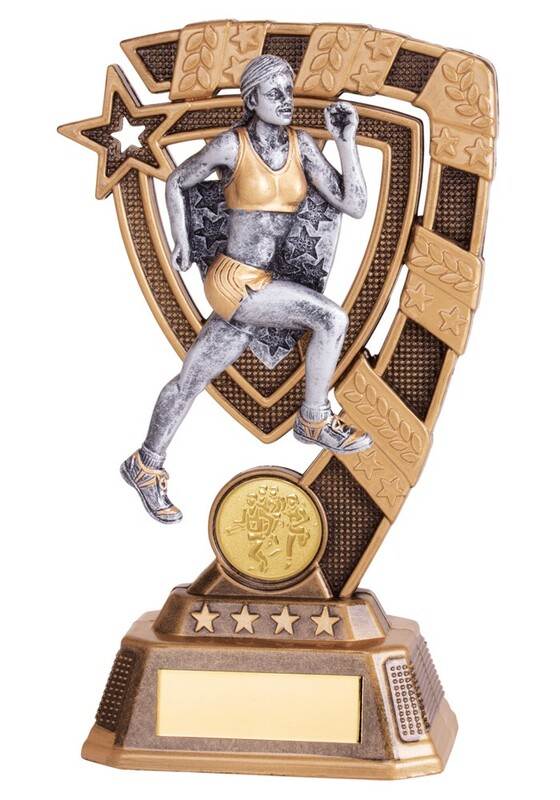 Resin Euphoria Female Running Award. Available in 3 sizes, 150mm, 180mm and 210mm high. 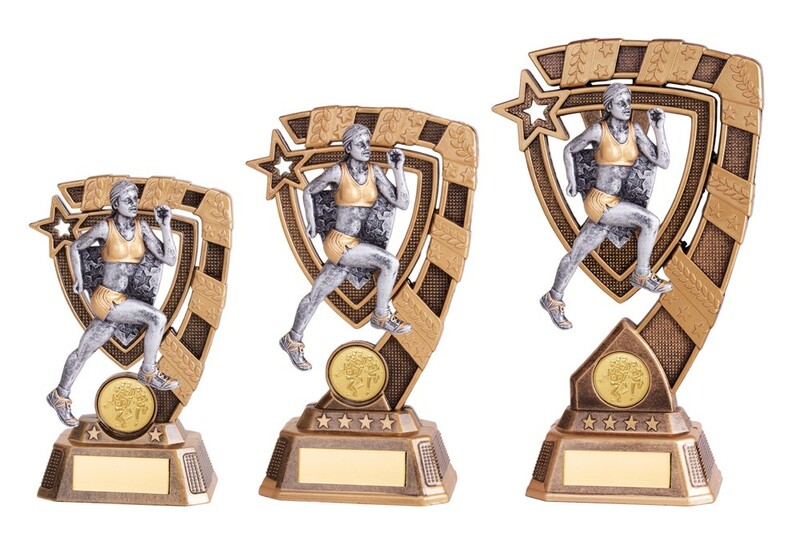 Bronze award with a gold detail and a silver female runner with gold highlight.